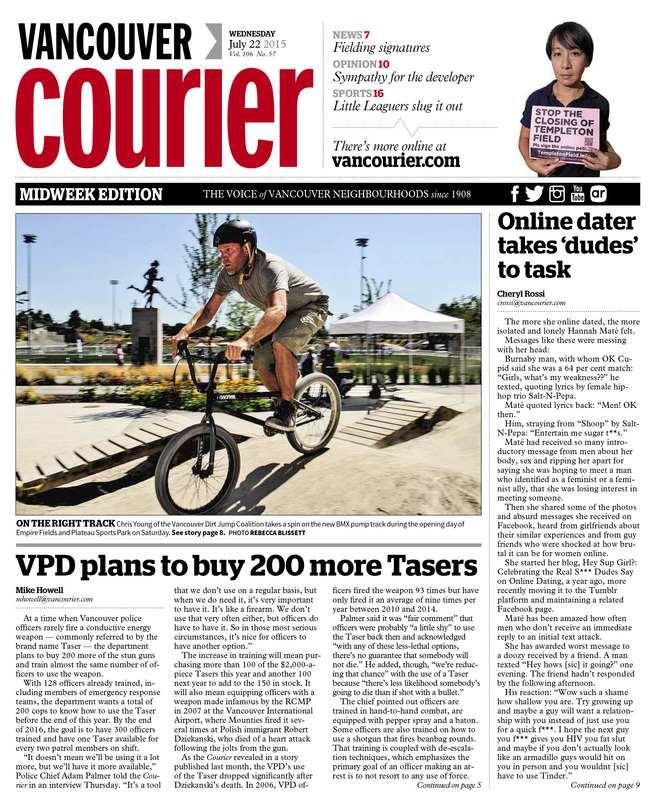 I was pretty surprised to find out that I was on the cover of the Vancouver Courier – that never really came up when we were shooting the photos. 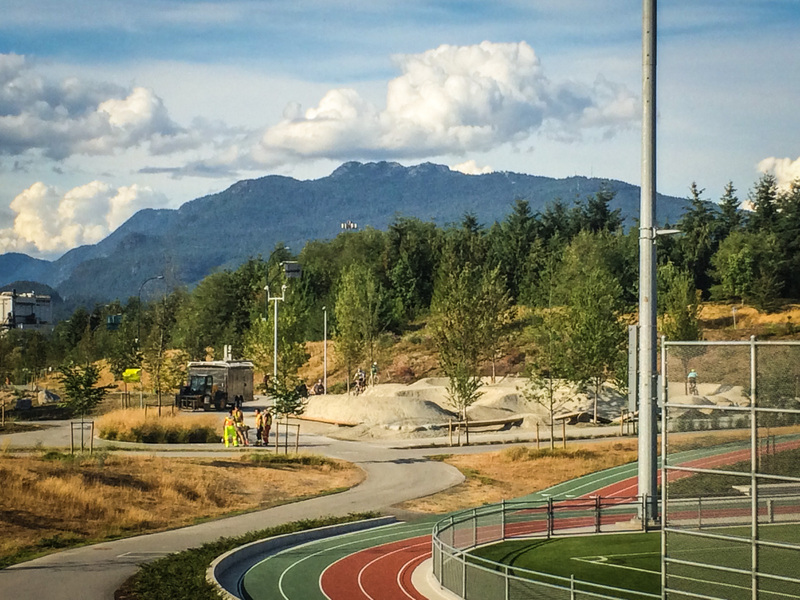 Overview of the Hastings Park Empire Fields pumptrack. 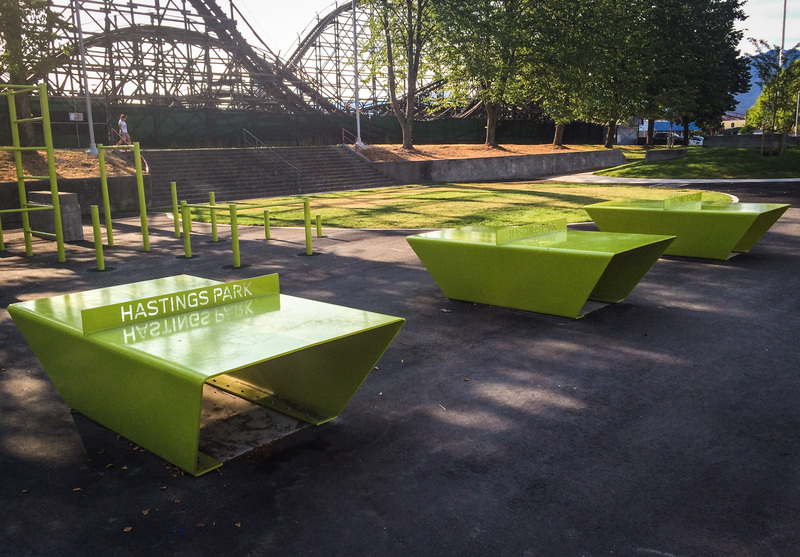 The Vancouver Dirt Jump Coalition launched our second bike facility at Hastings Park in Vancouver this past weekend. 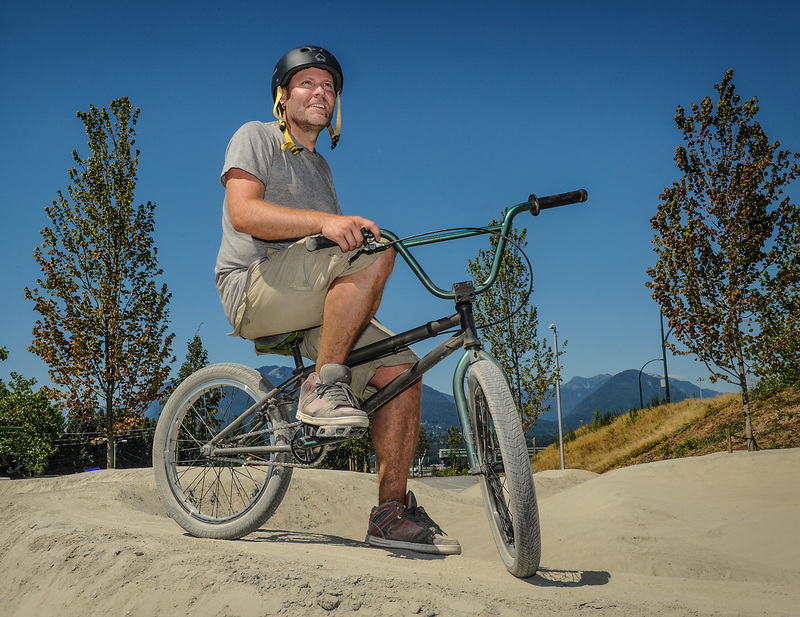 I’m really proud of this one because it really caters to riders of all ages and abilities; dirt jumps have a little steeper learning curve than a pumptrack, so this really opens it up to everybody. 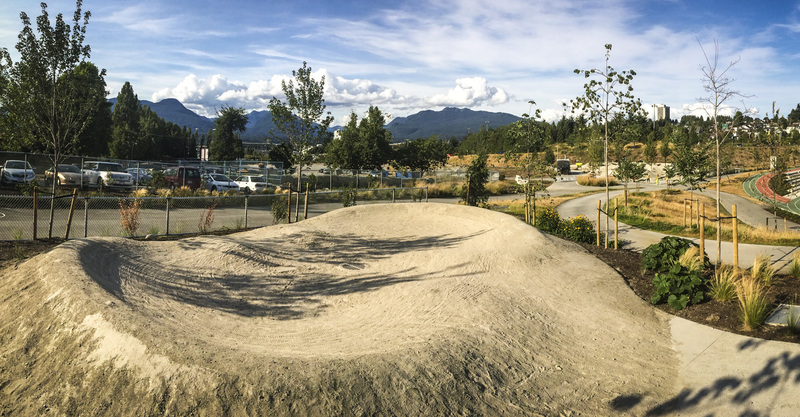 This being a pump track, it requires less maintenance as it doesn’t take the same kind of abuse that dirt jumps like we launched in 2010 in Vanier Park. 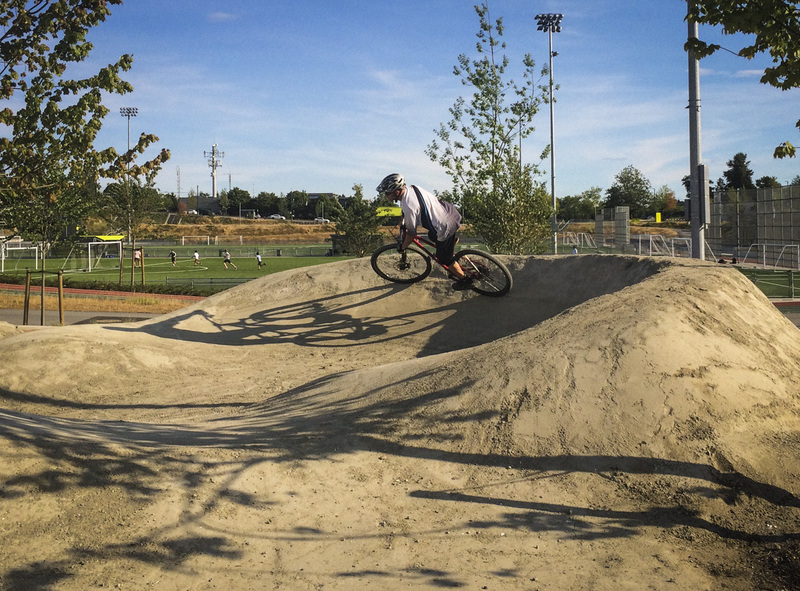 A rider cruises around the lower berm to build speed to get back up to the top of the track. 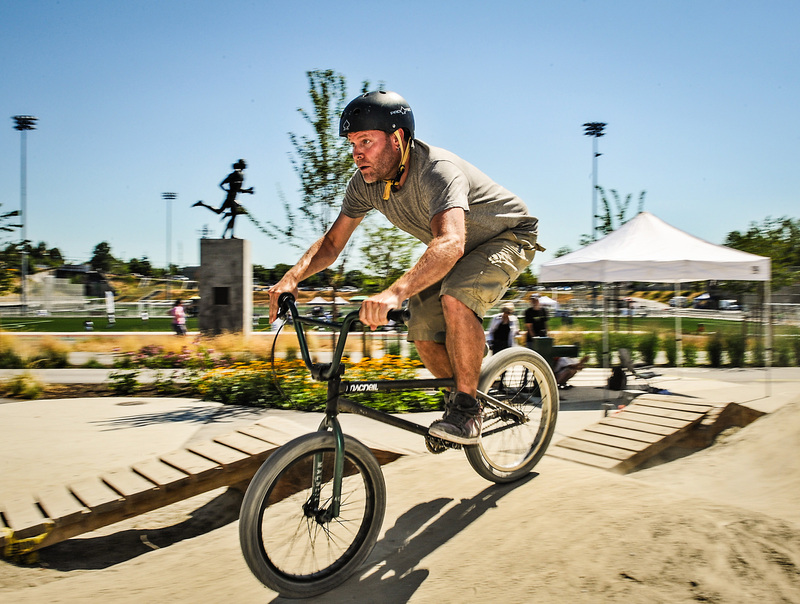 It was determined after several meetings with different users that dirt jumps at this location wasn’t going to be the best fit. 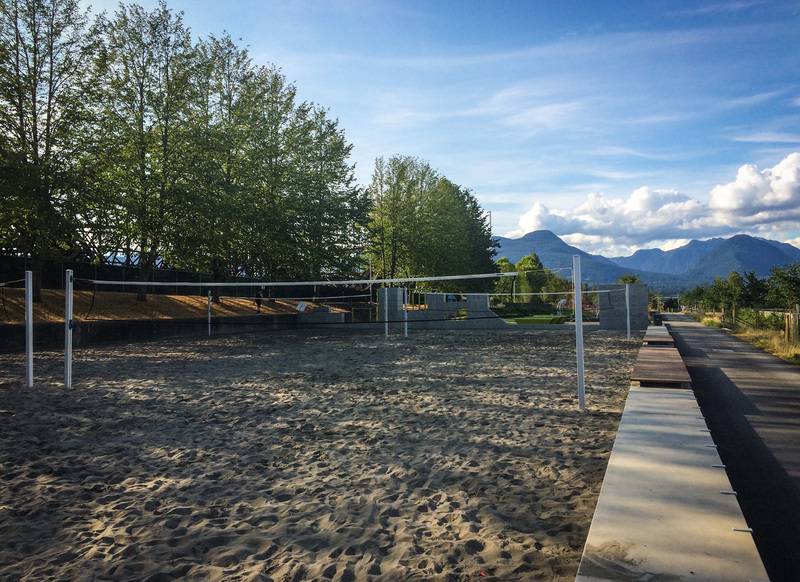 Given the large open space where they’d be much more exposed to the sun and rain, which means the jumps would break down much faster if they’re just baking in the sun without proper water systems and an existing community in place to maintain the jumps over time. 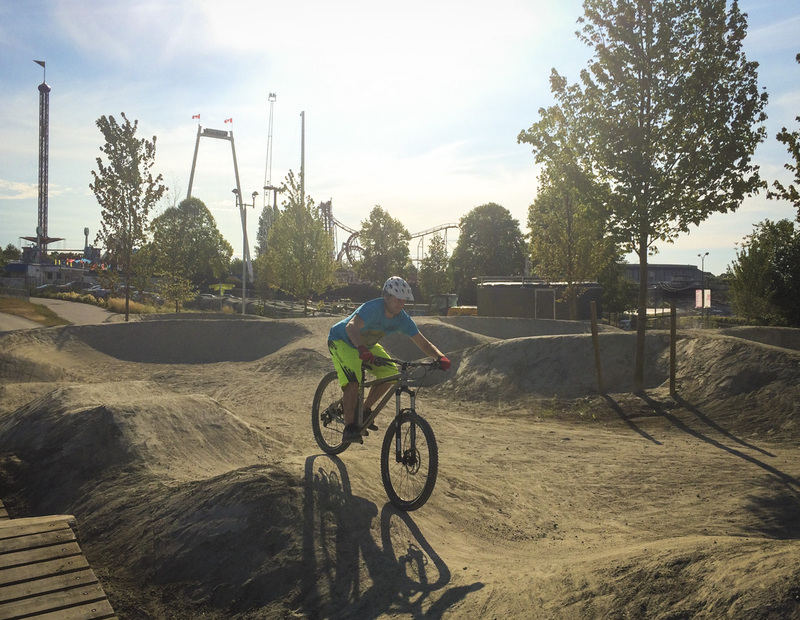 A few riders test out the pumptrack on opening day. Ironically, this pump track now stands about 60 feet away from where I had met with Mark Villiamy (retired Park Board planner) more than 15 years ago to discuss where Vancouver’s first dirt jump location might potentially be; in a lesser used corner of Hastings Park just off the backside of Playland. 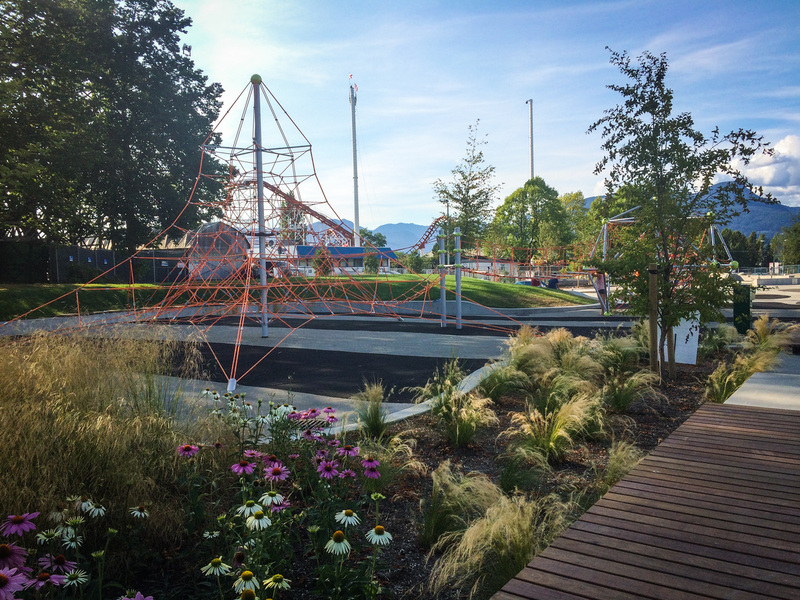 In the fall of 2010 we opened the Vanier Park Dirt Jumps at Kits Point; a location I never thought would be possible – it was just too good to be true. 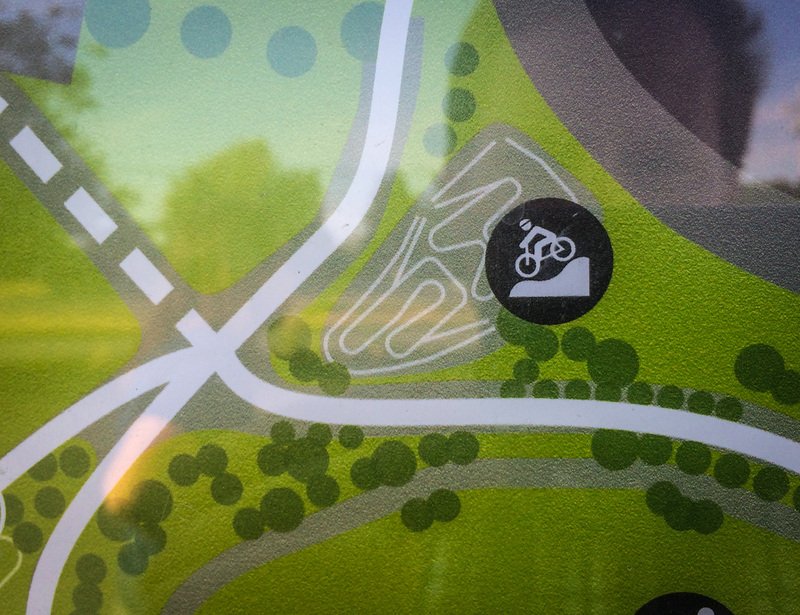 The much smaller, very beginner level pump track that was designed specifically with young children in mind. Hoots Bike Parks (Facebook page) designed and built this project which includes not just the large pumptrack, but also a much smaller, beginner-level pump track that was designed specifically with young children in mind. This is located right beside the tots playground so that parents could be close to children doing a couple different activities at the same time. 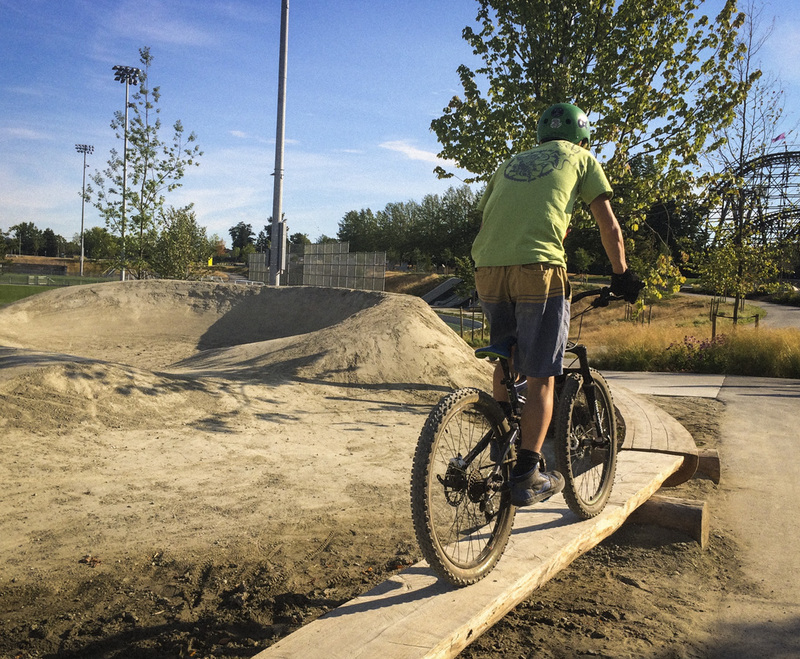 The pumptrack is lined with some bridge-style bike skills components that create a perimeter to separate the track from the commuter bike path that curves around the track. 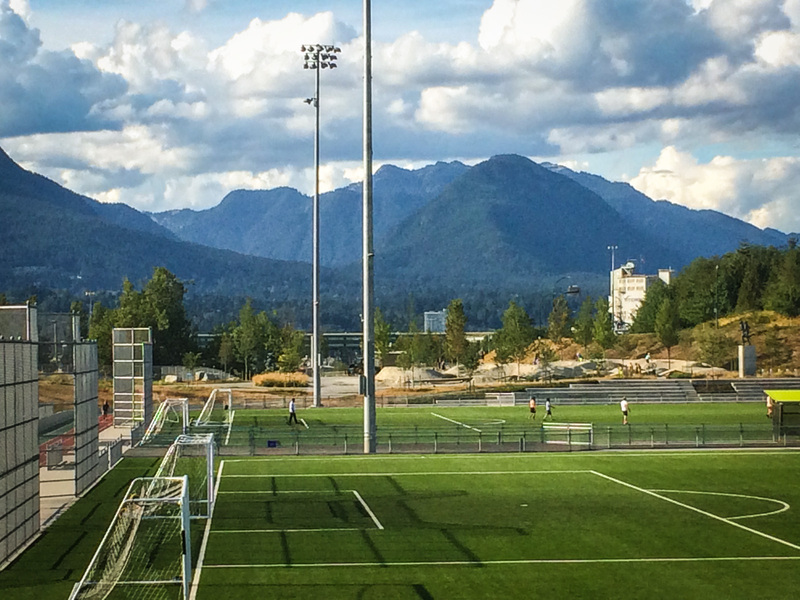 This was a project I worked on for a few years and in a much larger capacity. 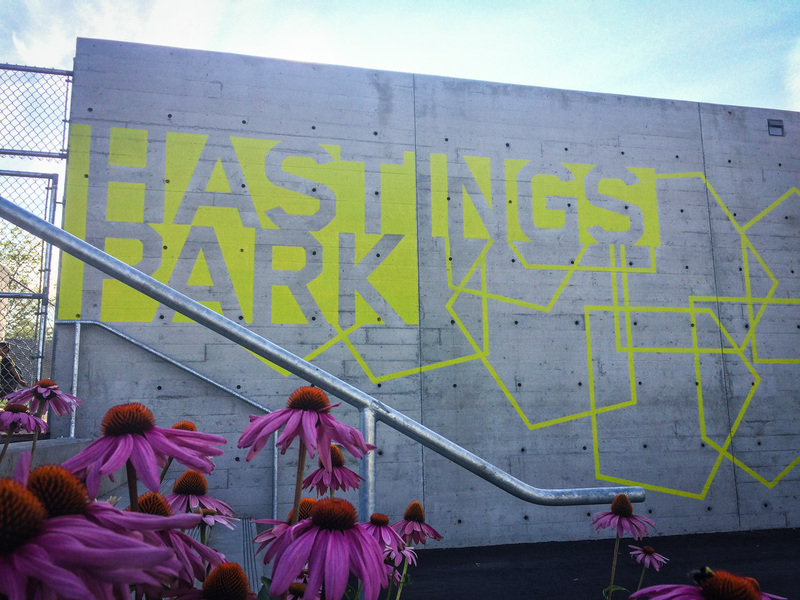 I was asked to sit on the advisory board for the Hastings Park Open Space Advisory Group, meeting many times spanning more than a year with park planners, engineering firms and landscape designers as they planned the redevelopment of Hastings Park. 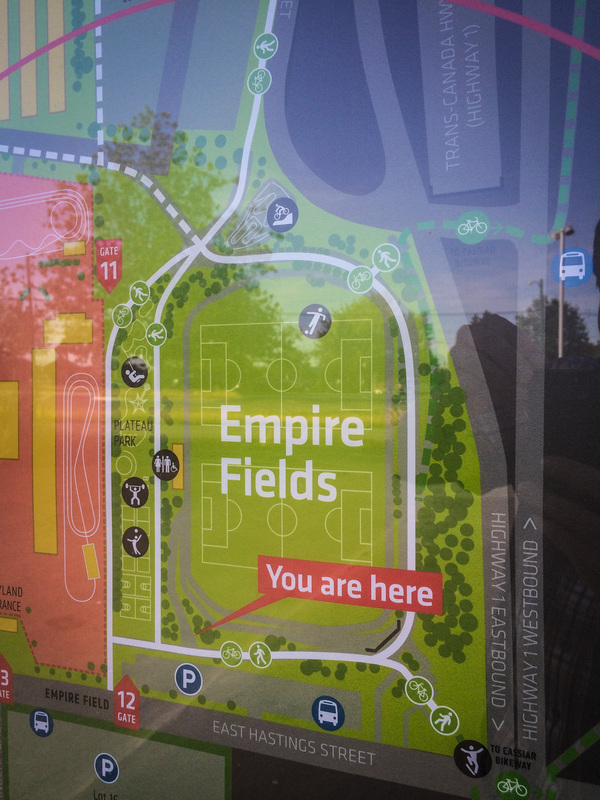 This redevelopment included the Empire Fields soccer field, sports plateau, community bikes paths, reimagining Creekway Park (where Brittania Park meets up with Hastings Park at the north end of the park), and the daylighting of the original stream that was buried decades before, and be the official ear to the Park Board representing the Leeside Tunnel which houses the Leeside Skateboard Park (which has it’s own group overseeing it, I was simply making sure all agreements were being honoured and that nothing went sideways on them). 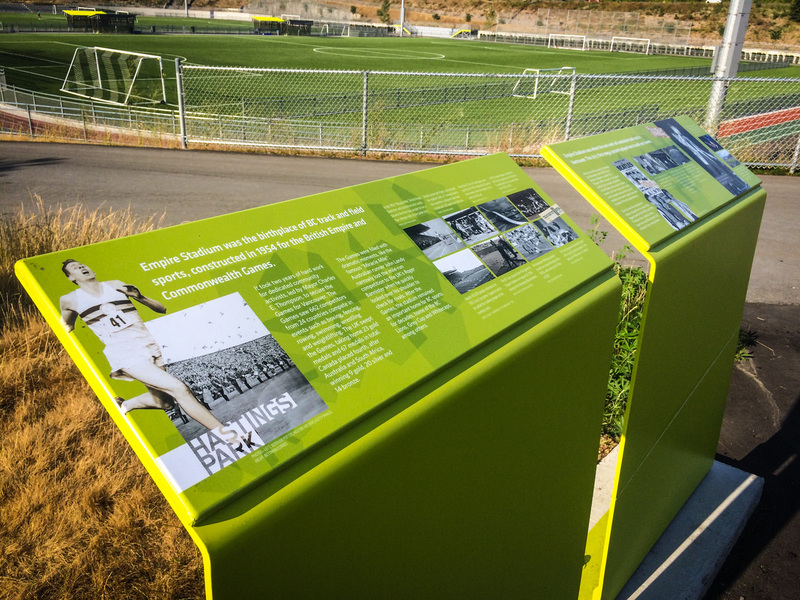 One of the many interesting play sections that run along the Sports Plateau pathway. 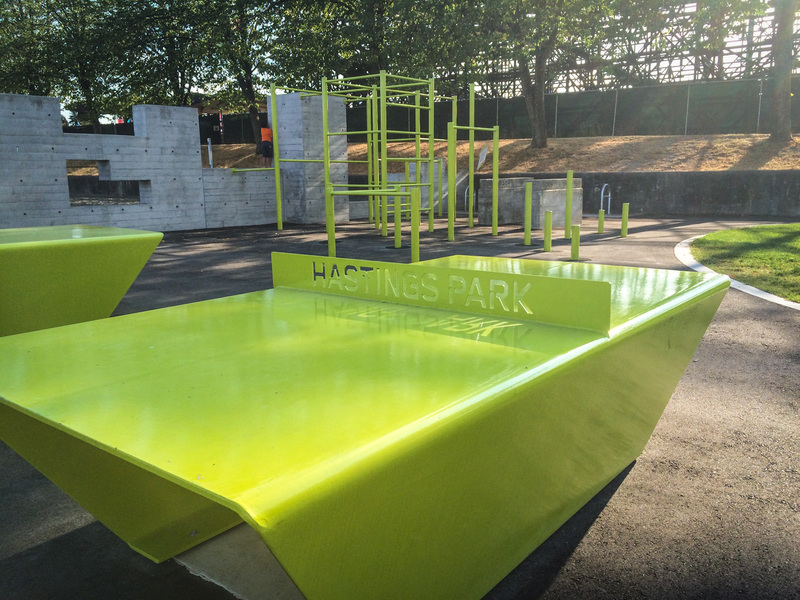 This wasn’t like any of the dirt jump and skatepark projects I have worked on before; this was much larger, more encompassing holistic approach to the redesign of Hastings Park. In the end, I’m really impressed with how it all turned out. 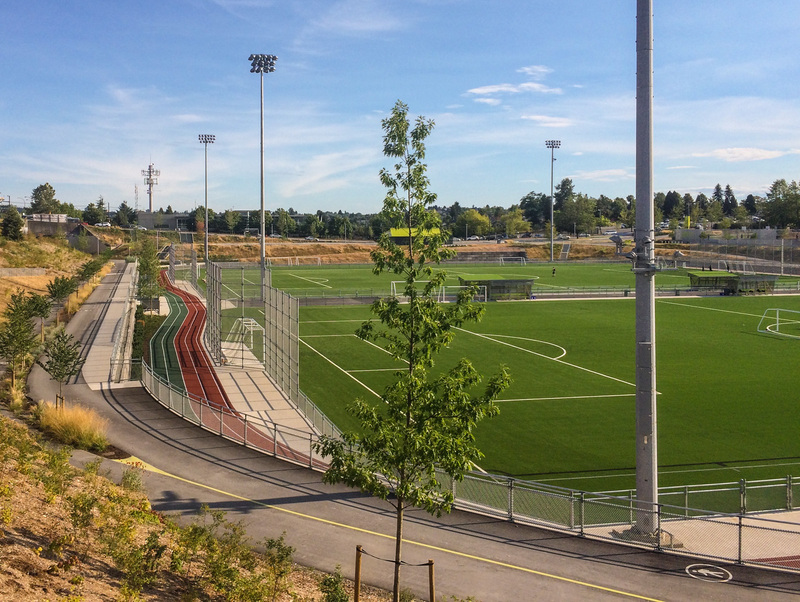 I really got into a few different parts of the redesign I didn’t think I would, such as the daylighting of the original stream, and the commuter bike paths throughout the park. 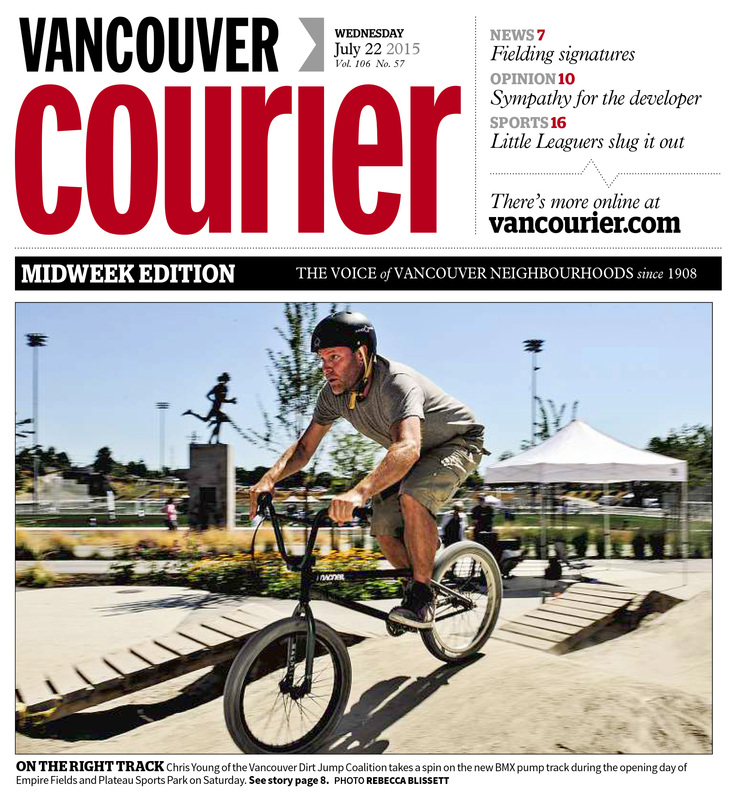 You can read the original Vancouver Courier article about the grand opening here. 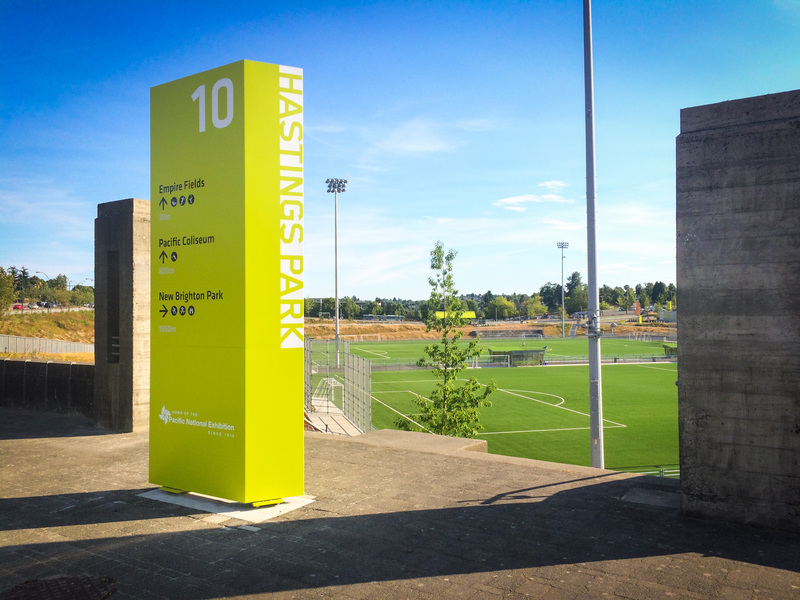 Here’s some additional images of the redeveloped sections of the park, and some of the Hastings Park branding and wayfinding that was done by Public.